PLEASE NOTE: The currency in Bolivia is the Bolivianos (BOB). I will refer to them as ‘B$s’. At the time of writing, US$1 = B$6.95. I was making my way from Villazon to Copacabana. 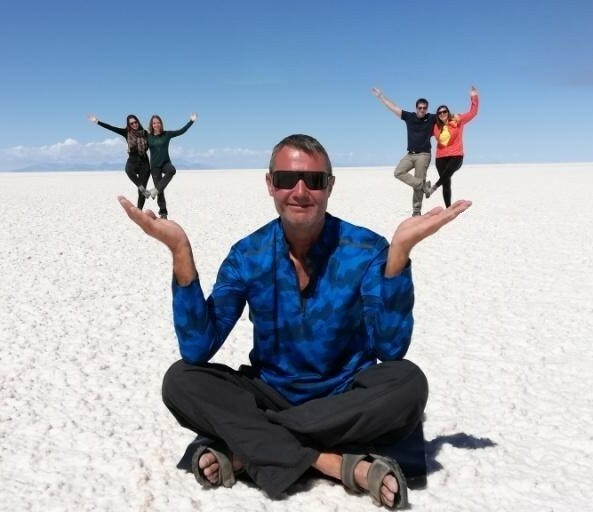 In Uyuni, I was staying at the Joya Andina Hostel which was only 1.5 blocks from the Bus Terminal. The day before, I went down and checked out the buses to Potosi. You find ‘local buses’ canvassing for customers early in the morning. I saw 2 there before 9am. I don’t know what time they actually leave nor the price. 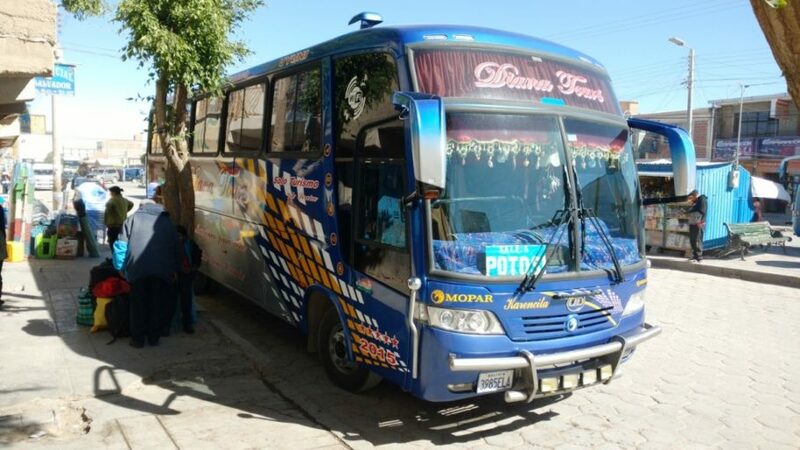 The bus journey from Uyuni to Potosi is 4 hours, so I decided to try and get a bus that was a bit more comfortable than the standard ‘local bus’. 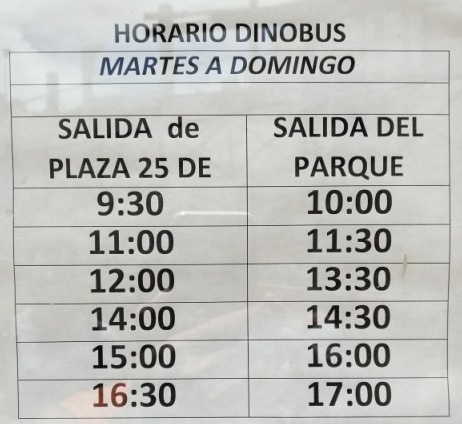 Diana Tours have an office at the Bus Terminal and advertise a ‘VIP Tourist Bus’ that leaves at 9am and 7pm. I bought my 9am ticket for B$30. I turned up the next day at 8:30am to find my bus waiting. To be honest, it didn’t look much different from the ‘local buses’. It was not ‘VIP’. My suitcase was put into the luggage compartment (no receipt) and we left at 9:05am. We passed some ‘typical’ Bolivian scenery. The bus was only half full, so I had 2 seats to myself all the way to Potosi. On the journey we picked up and dropped off all of the locals that flagged us down. It was not a ‘direct’ nor a ‘tourist’ bus either. We arrived at the Potosi Bus Terminal at about 1pm. We were dropped off at the OLD terminal located in the centre of town. My hotel was only about 1.5kms away so I decided to walk. MISTAKE! It was nearly 2kms away and the walk was all up hill. 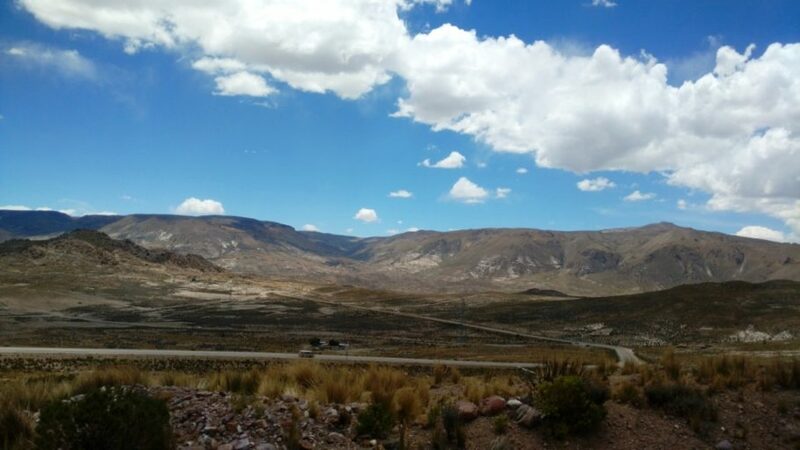 Potosi is at 4,000m above sea level. I was puffing my lungs out and knackered by the time that I got to my hotel. MY ADVICE: Get a taxi. It should only cost about B$5 to get from the Old Terminal up the hill to the Historical Centre. I didn’t get to see much of Potosi. I had cracked feet (caused by the dryness of high altitude living) that I needed to medicate. I had to keep my walking to a minimum. However, I did get to look around the streets in the Historical Centre. As usual, I booked myself into the Historical Centre. 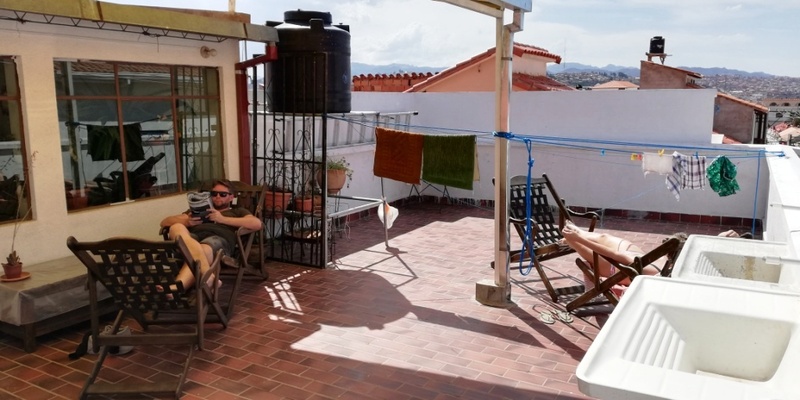 I booked 4 nights in the Hostal Tukos La Casa Real. It was quite expensive for a place like Potosi. 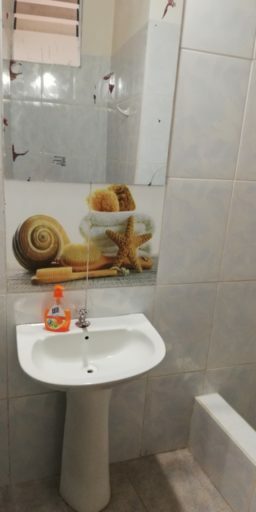 I paid US$25 / night including Breakfast. I found out, later, that I had booked over the weekend when Potosi was celebrating its 108th birthday. 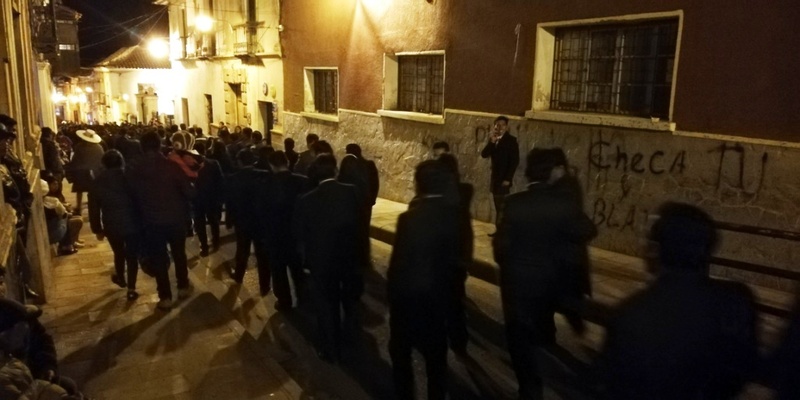 There were parades in the surrounding streets. This, probably, affected the price. 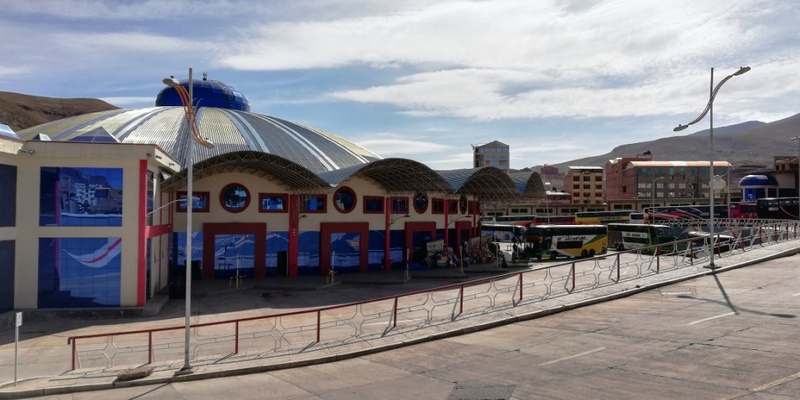 To get to Sucre, you need to make your way to the NEW Bus Terminal on the northern edge of town. It was too far away for me to walk to, so I just took a chance and turned up in the morning looking to buy a ticket. A taxi fare was B$8. On the 1st Floor you find several companies selling tickets to Sucre. 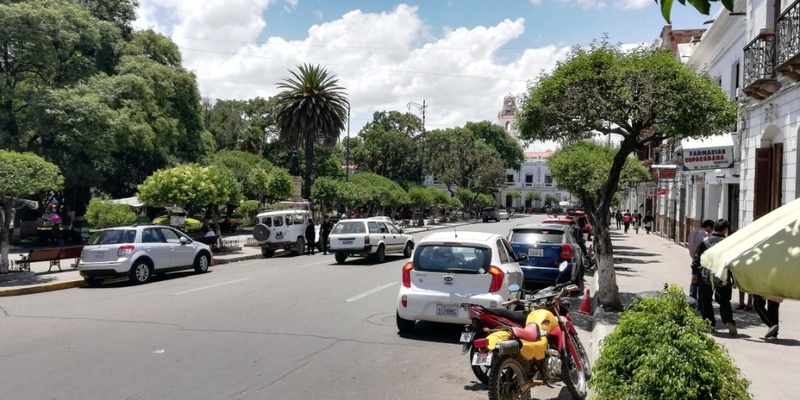 Between them, you can get a bus to Sucre every 30-60 minutes. I bought a B$20 ticket from Trans Villa Imperial because it was the next one scheduled to leave. You pay B$2 to get on to the platform (to help pay for the new terminal? ); they give you a ‘platform ticket’ – keep it. When I saw my bus, I was a bit worried … I thought that, maybe, we were going to take longer than (the normal) 3 hours or break down along the way! The driver arrived at 9:05. He stowed my luggage underneath (no receipt) and wasted no time in getting on the road. As you exit the Bus Terminal you are boarded and you have to show you B$2 ‘platform ticket’. There were only about 6 people on the bus. We picked up and dropped off locals on the way. Three hours later, on schedule, we arrived at Sucre Bus Terminal on the north east side of town. I caught a taxi to my hotel for B$6. 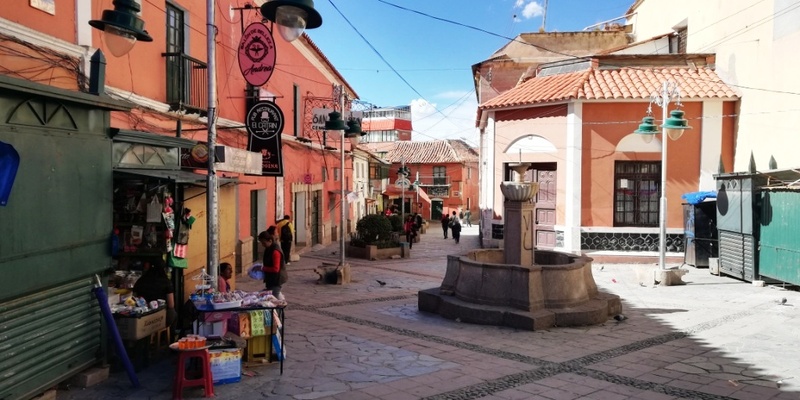 Sucre is the constitutional capital of Bolivia and the 6th most populated city i. It is located in the south-central part of the country. 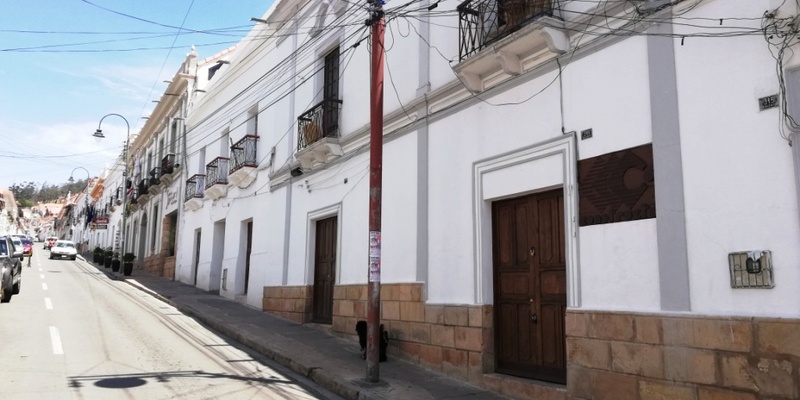 Sucre was founded by the Spanish on November 30, 1538. 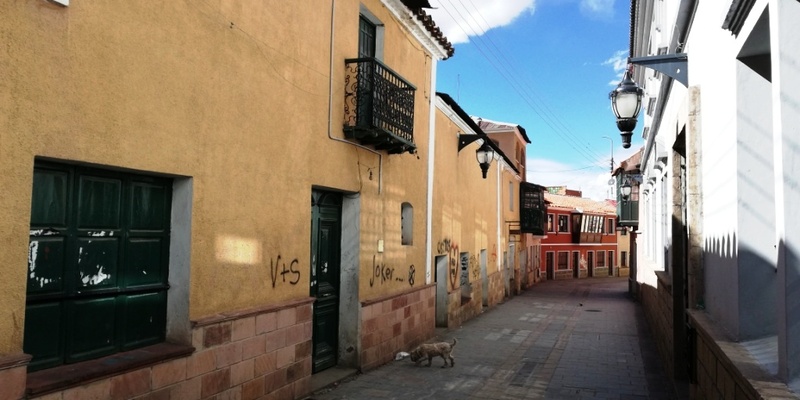 The narrow streets of the city centre are organised in the grid-style that typifies Spanish Colonial towns in Latin America. 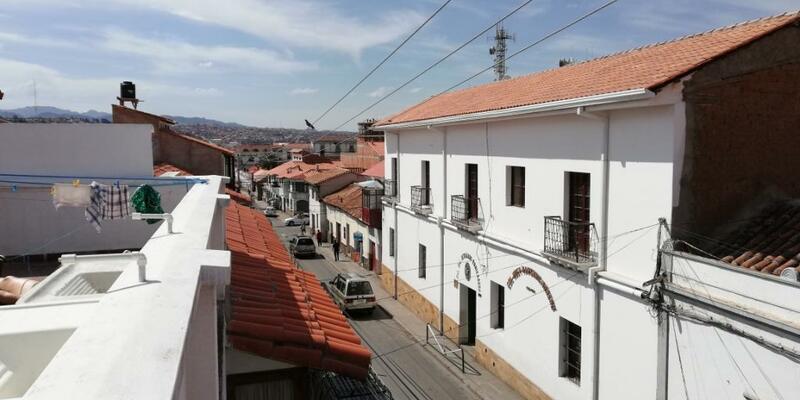 For much of its colonial history, Sucre’s temperate climate was preferred by the Spanish aristocracy. A walk around the Historical Centre streets is a (surprisingly) pleasant one. As is a walk around the ‘typical’ main square. East of the Historical Centre are hills. The streets are still reasonably tidy. And there are more nice parks. Sucre is a very nice little city. You often see people walking around with big sacks sweeping up all of the street rubbish. This is what you can expect online 1 week before your arrival. PLEASE NOTE: BOOKING displays prices EXCLUSIVE of TAXES. 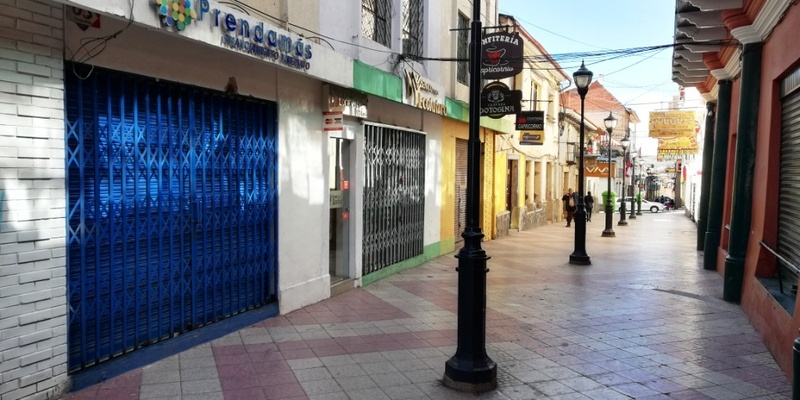 Taxes are 13% but, surprisingly, only Bolivians pay this tax. Tourists are exempt. BUT, watch out for the ‘City Tax’ … it is 10% and some hotels don’t include it. PLEASE NOTE: AirBnB displays prices INCLUSIVE of taxes but EXCLUSIVE of ‘Service Fees’ (which can add as much as 16%) and ‘Cleaning Fees’ (some places charge 1 day’s rent!). 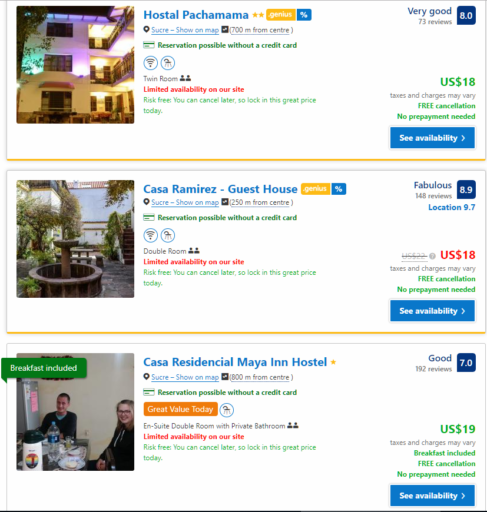 Two GRANDPAckers should be able to find a Double Room for B$140 / night (US$20) including taxes and Breakfast. 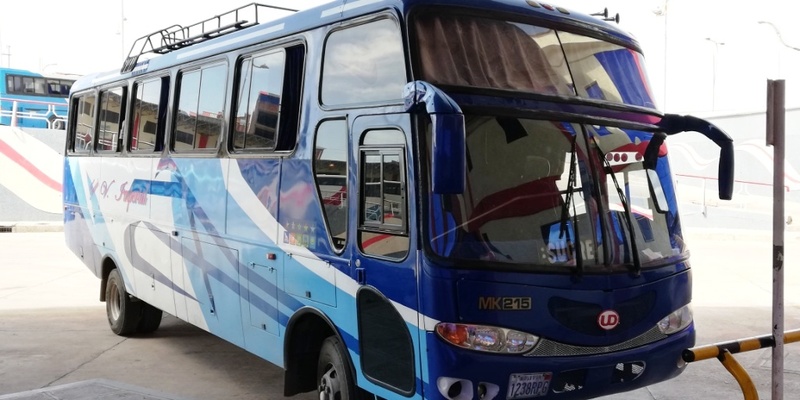 I knew that I was catching a night bus from Sucre to Cochabamba. This impacted on my options … for instance, I couldn’t choose an apartment, I needed to choose an hotel where I could ask for a late checkout and / or to store my belongings until I headed for my bus. 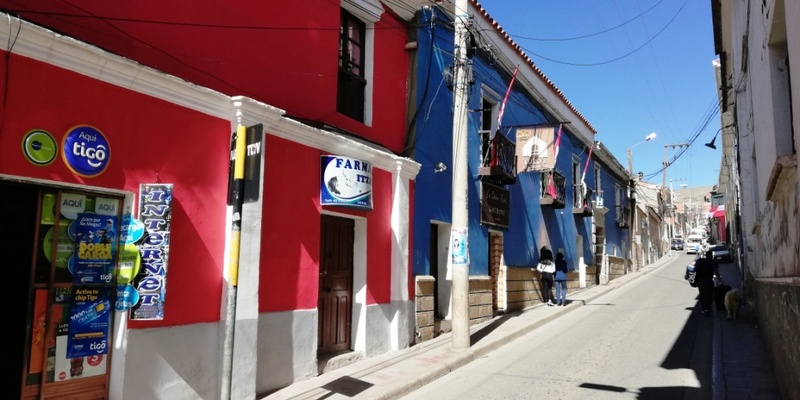 PLEASE NOTE: If possible, search for your hotel in Bolivianos. If you search in any other currency (and pay at the hotel instead of in advance), the hotel will (usually) convert that currency to Bolivianos at an exchange rate favourable to themselves. 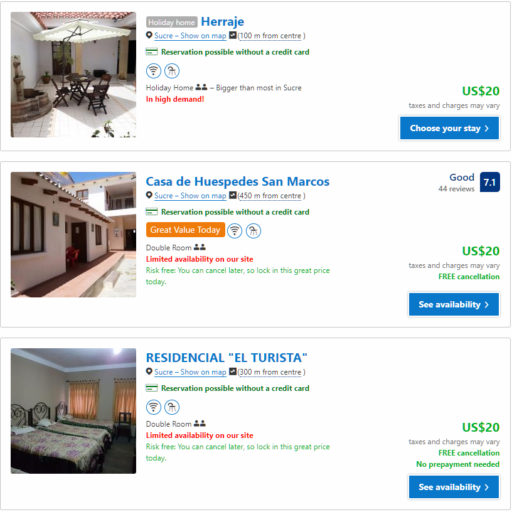 I booked 4 nights in a ‘One Bedroom Suite’ at the Casa de Huespedes Isabella for US$15 / night (single occupancy). 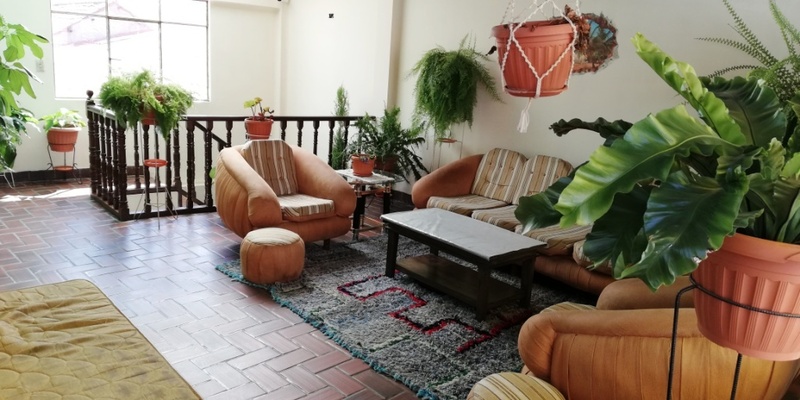 I paid on arrival and the Casa Isabella was the first hotel in Argentina and Bolivia that used the correct exchange rate without any attempt to over-charge me. 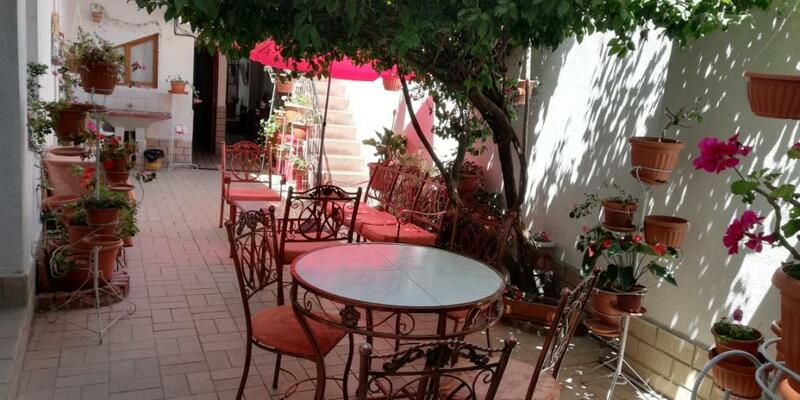 The rooms face a central courtyard which doubles up as the Breakfast area. My ‘suite’ was a pleasant surprise. I had a ‘conservatory’ that looked onto the courtyard. The bathroom was attached to the conservatory. It was bigger than normal. 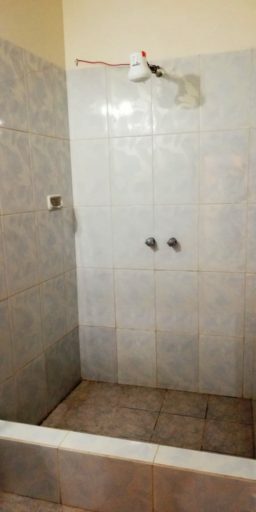 It had one of those water heater add-ons that you see everywhere in Latin America. It worked well. The bedroom came with a clothes stand and Cable TV (with CNN in English and only 1 other English Speaking channel – if you were lucky). On the top floor was a shared lounge. It also had a rooftop terrace. This terrace had a nice view out over the street. 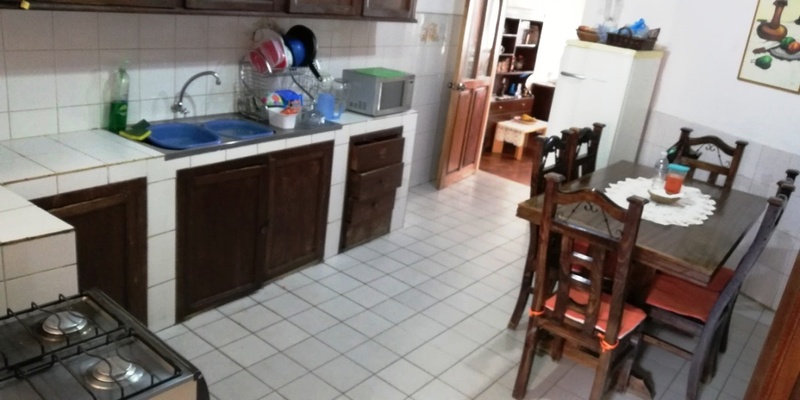 Back downstairs was a clean and tidy shared kitchen. And the included buffet Breakfast was very good for the money paid. I couldn’t get a reliable wifi signal in my room, but it was reliable most of the time in the courtyard. All-in-all, the Casa Isabella was one of the best value for money accommodations that I have stayed in for quite a while. 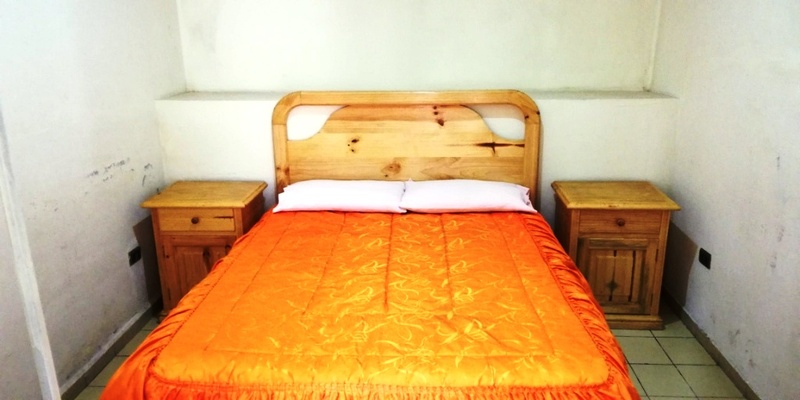 You want to stay within walking distance of Plaza 25 de Mayo (the central park). 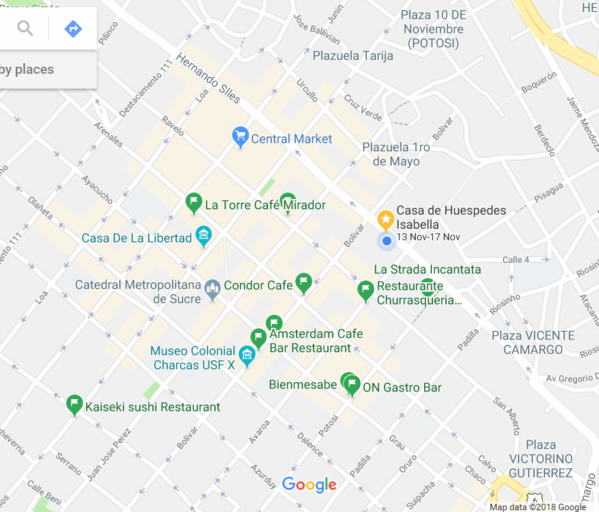 How far from the Plaza depends on how far you are prepared to walk. SUGGESTION: For the highest density of budget restaurants and bars, look south of the Plaza (see Eat & Drink, below). I looked on Tripadvisor to find the location of the recommended restaurants in our price range. Nowadays, I tend to do this before booking my hotel … because it helps me identify where I should stay. 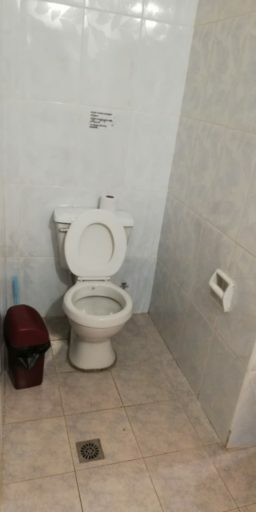 My chosen hotel was located close to several budget options. I had to try a steak. I walked down to the El Parrillin near the Central Market. It gets good write-ups. It was closed. I implemented ‘option B’ and doubled back up to the Churrasqueria Maderos. They do Almuerzos for B$14 and they were still serving them at 7pm when I arrived. They also do a 1/4kg steak meal for B$27. But, I tried their 1/2kg steak meal for $45. A 1L Potosina beer was B$25. It was a good price, but my steak was a little bit fatty and chewy. Not the best steak that I’ve ever had … and nowhere near as good as the one that I had in Cafayate, Argentina. Chifa & Thai are one of the few Asian restaurants in town. I had their Mussumam Curry (B$48) which came with a free dip starter. The serving was small and the curry average. I left slightly disappointed. Bienmesabe are said to do excellent Arepas and Cachapas. 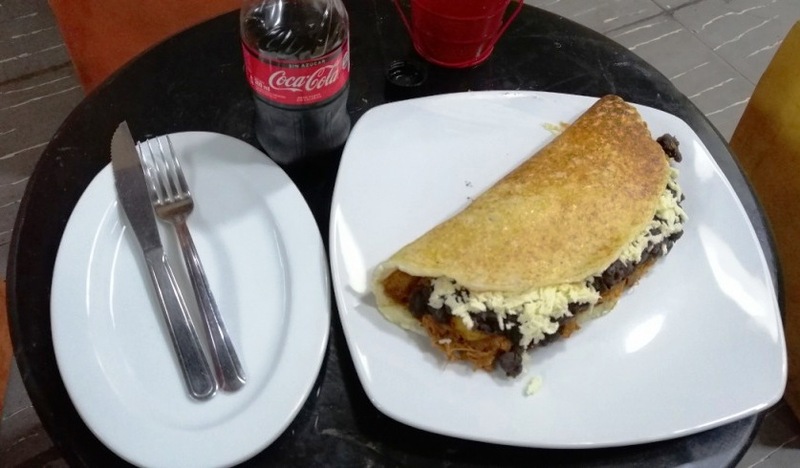 I had the shredded beef, black bean, and cheese ‘Cachapa with Coke’ combo for B$30. It was good. The ‘Cheap Eats’ in Tripadvisor never really mention the ‘really cheap places’ to eat. If you want ‘really cheap’ get down to the Central Market. Upstairs is a food hall. 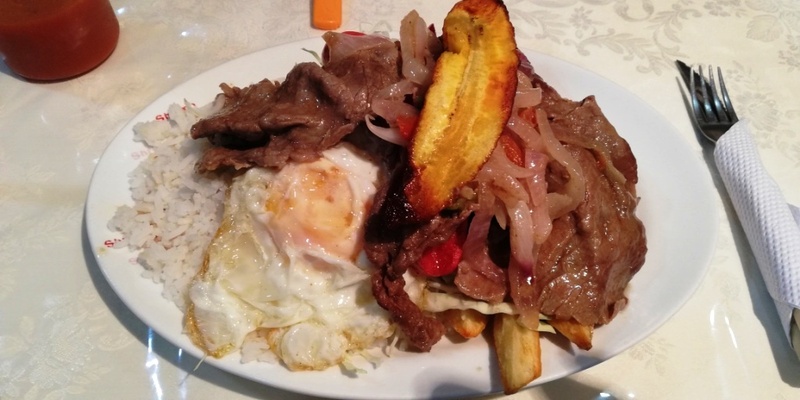 I tried one of Bolivia’s traditional dishes: french fries and rice topped with salad, fried egg, fried onions, fried banana, meat, and sauce (B$14). A cheap bottle of wine in a shop costs B$23. Expect to pay B$60-B$80 for a bottle in a budget restaurant. A 1 litre local beer in a shop costs B$17 plus B$5 deposit on the bottle. Expect to pay B$25 in a budget restaurant. Expect to get a simple Breakfast included in you hotel room rate. Expect to pay an average of B$15 for a cheap Almuerzo Lunch with fruit drink. Expect to pay an average of B$40 for a cheap Dinner (B$25) with a Fruit Juice / Small Beer (B$15). A taxi from the Bus Terminal to the Historical Centre costs B$6 (about 1.5 kms). There are ATMs everywhere. There is no Bureau De Change. A Huawei Mate 20 Lite retailed in the USA for about US$500. They were going in Potosi for US$250. At that price, I decided to get one to replace my old and unreliable Motorola Moto X Play. I went to 2 different ATMs and withdrew B$2,000 out from each: BancoSol and BancoBisa. They charged me B$17.50 for the privilege. 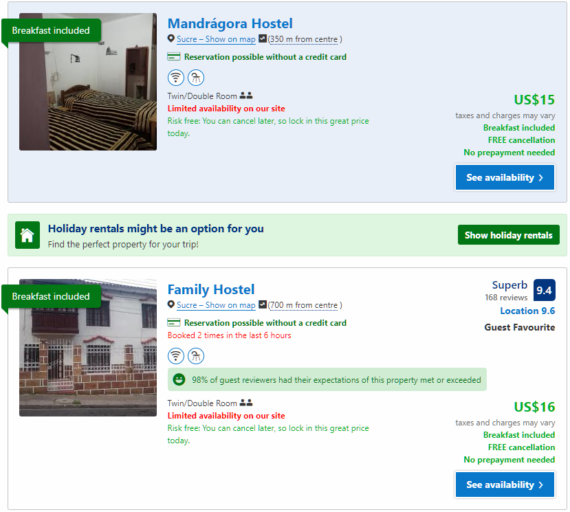 Your accommodation should provide free wifi but don’t expect it to be very good in our price range. I bought an ENTEL chip (B$10) and 1 month 2GB Data Plan (B$50) back in Villazon. 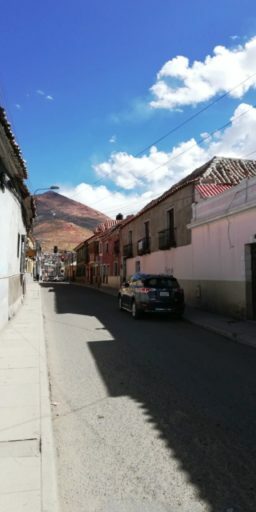 I had a 4G signal in Sucre. 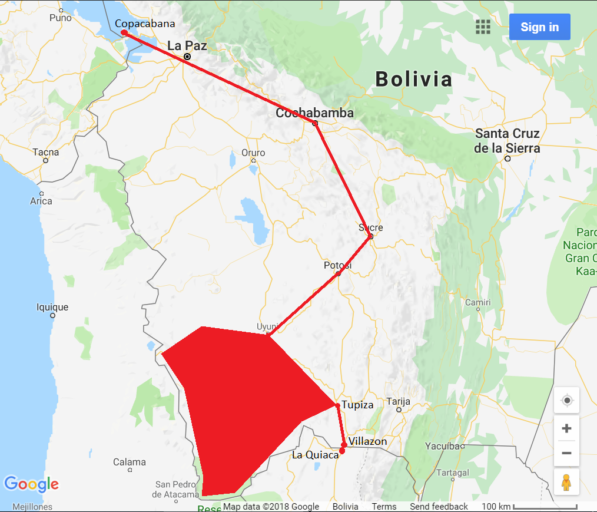 I bought ENTEL because it has the best overall coverage in Bolivia. The sign-up process is quite complicated. You will need your passport. To purchase an ENTEL chip & plan find the nearest ‘Multicentro’ (the name of ENTEL’s official outlets). PLEASE NOTE: ENTEL do not allow you to have a zero balance … a positive balance must remain. I had a balance of B$50 and tried to renew my B$50 1 month 2GB Data Plan using the ENTEL mobile app. I failed. After topping up with another B$10, I succeeded. 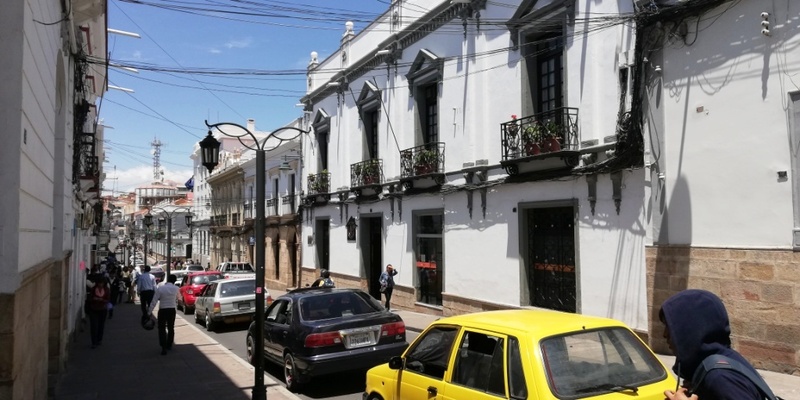 Sucre has a big list of things to see including many free museums. It is, also, nice to just walk around the central streets. 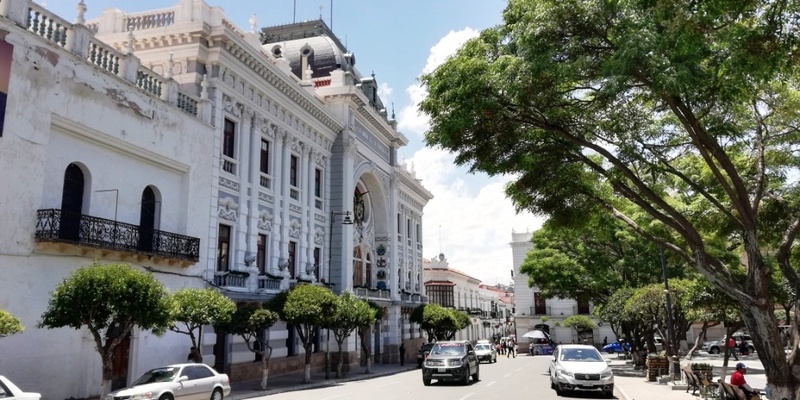 There is plenty of colonial architecture to look at. You can catch the ‘open top’ tourist bus for outside of the Cathedral in the Plaza 25 de Mayo. A return trip ticket is B$15. It takes 30 minutes each way. I targeted the 11am bus. It arrived at about 10:40am and started loading. Within 5 minutes the upstairs was full. If you want to be upstairs, get there early. Entry into the park is B$30. The Tour Guide office is 10 metres inside from the entrance. Go there and connect with your (free) guide. There is 1 Spanish speaking guide and 1 English speaking guide. There are 2 Footprint Tours each day: 12 noon and 1pm. So, you want to catch the 11am bus to connect to the 12 noon tour or the 12 noon bus to connect with the 1pm tour. A guide should be waiting for your bus and will gather everyone together. He will spend about 20 minutes walking you through the park. The park has several life-sized dinosaur models that he will explain to you. There are also a couple of rooms that you can explore at the end of the Tour. By 12 noon we were donning our hard hats looking across at the cliff of footprints. You start by descending down steps to the quarry. The guide, then, walks you along the wall showing you all of the different types of prints. When finished, you return the way that you came … including climbing back up all of those steps! It is now that you have 30-45 minutes to look around the exhibits before making it back to the Tour Bus to head home. I am glad that I did it … but, I wouldn’t go again. 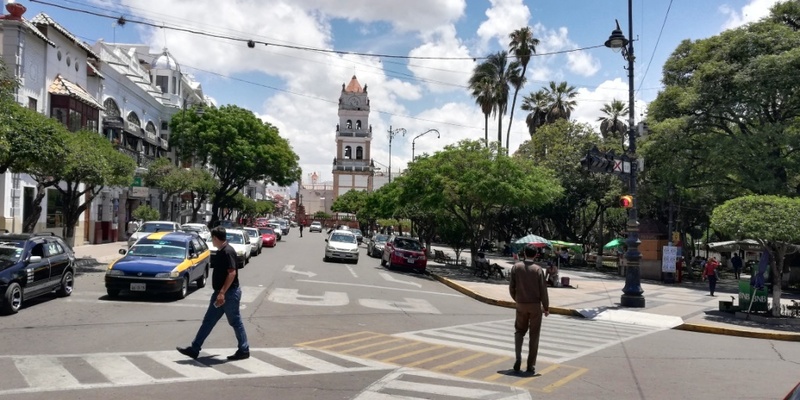 The main problem is Petty Theft … which is a ‘typical’ problem in Latin America. Don’t leave anything unattended. Lock up your hotel room. Lock up your valuables within your hotel room (single lock hotel room doors are notoriously easy to break into without a key). I didn’t notice any mosquitos, but there was a fruit fly (sort of thing) that liked the taste of my arms and the back of my neck. 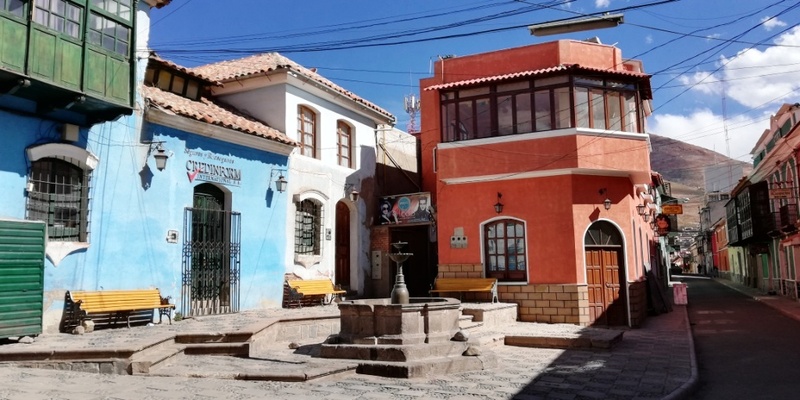 Sucre lies at an elevation of 2,810 metres which gives the city a temperate climate year-round. Sucre is classified as having a ‘subtropical highland’ climate. I lived to GRANDPAcking standard. 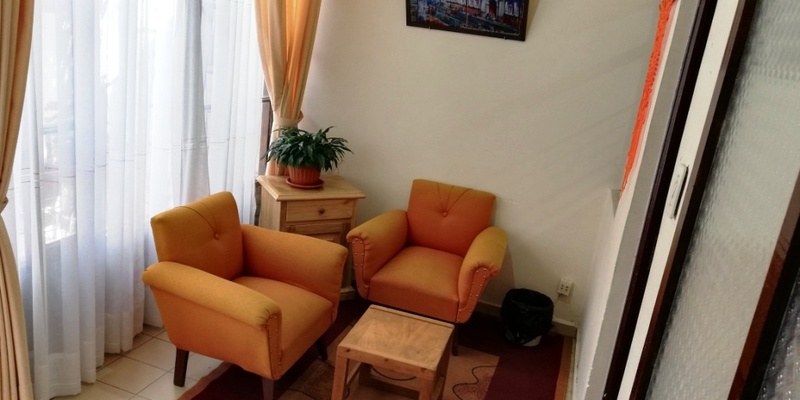 However, please note that I was travelling alone and I get ‘Single Occupancy’ rates in my GRANDPAcking Double Rooms … and I take advantage of ‘last minute discounts’. My accommodation was B$104 / night. It included Breakfast. I didn’t use any public transport. I already had a B$50 balance on my ENTEL chip. I topped it up with another B$10 so that I could buy a 1 month 2GB B$50 Data Plan. I averaged about B$63 / day on meals. I don’t really eat Lunch anymore but I tried some street food one day. 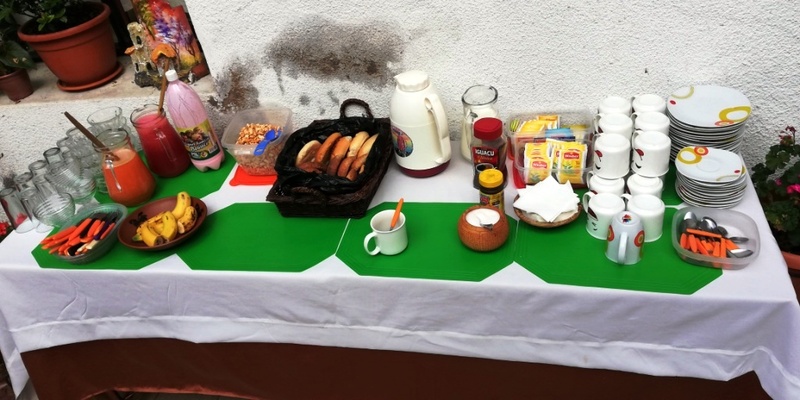 I averaged about B$62 / day on Dinners (but these usually included a 1 litre bottle of beer). Drinking water was free at my Hostel. My COE worked out to be about B$135 (US$21) / day. 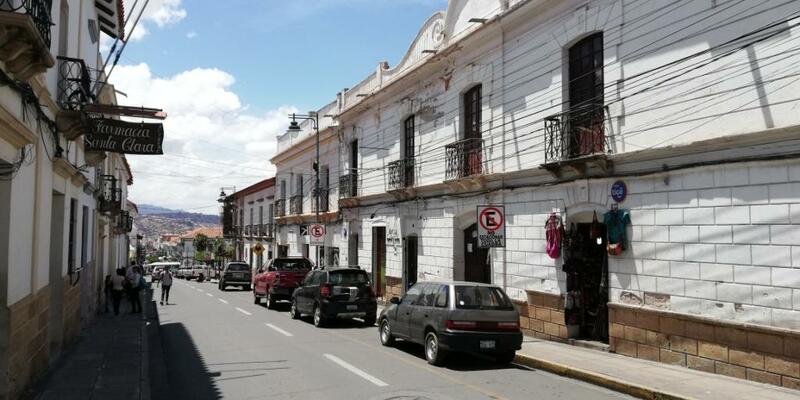 In / Out Costs: It cost me B$36 to get from Potosi to my Sucre hotel. 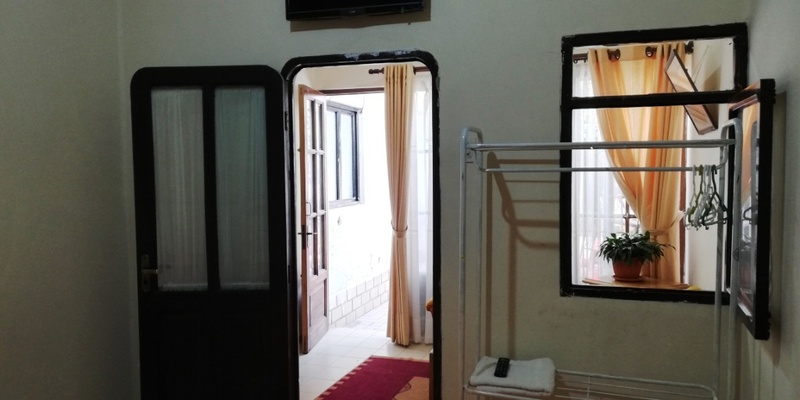 Living Costs: I averaged about B$20 per night on drinks. I spent B$64 on doing my laundry (B$9 / kg). I spent B$45 on the Dinosaur Footprints Tour. I spent B$54 on replacement equipment. I spent B$51 on odds and sods. My total COL was about B$200 (US$32) / day. 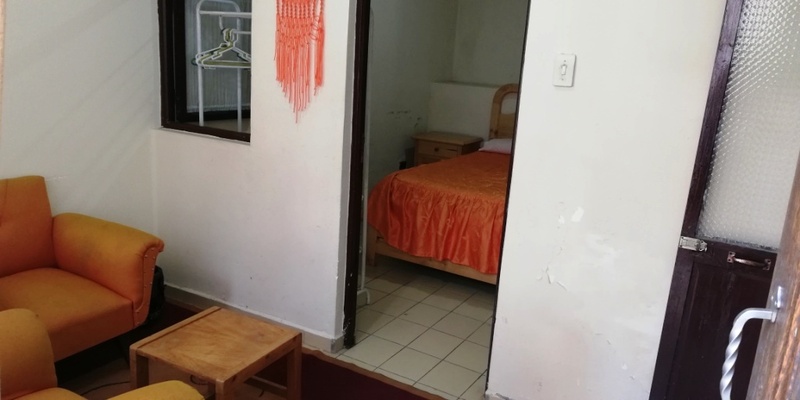 Accommodation: I have booked you into something decent for B$140 / night for the first 2 nights. Thereafter, you should be able to find something long term for B$100. Both include Breakfast. Transportation: I have budgeted a weekly day trip for 2 people to a nearby town / attraction. Communications & Fees: I have budgeted an ENTEL SIMcard (B$10) and a 1 month 2GB Data Plan (B$50). 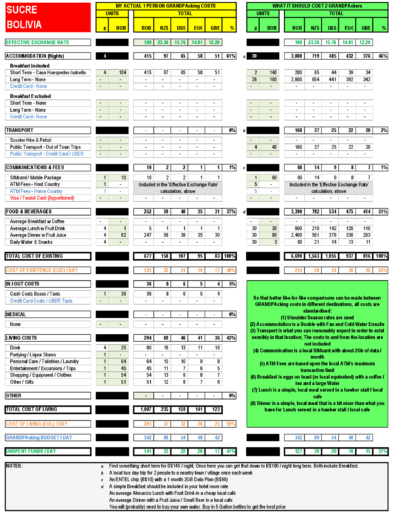 Food: Your budget averages about B$110 (US$18) / day for 2 people. This is to eat all of your meals in Budget Restaurants. Water should cost you under US$0.50c / day. Your COE is about B$216 (US$34) / day. This leaves you B$127 (US$20) / day to LIVE on. You should be able to LIVE well on that. Monthly Retirement Costs will be similar to your Holiday Costs. 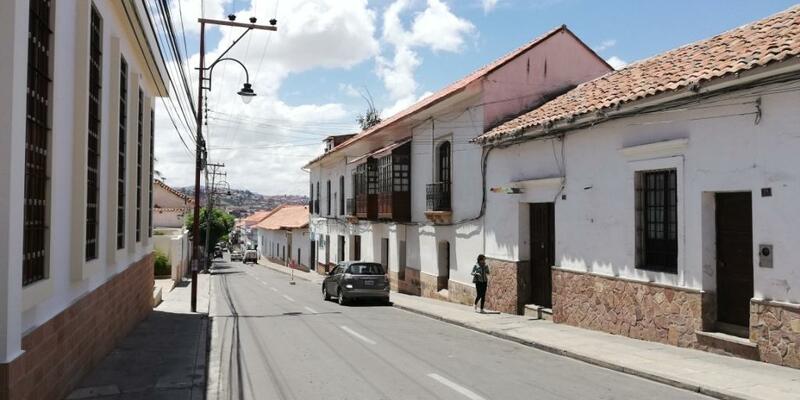 Many ‘City Lovers’ will fall in love with Sucre. 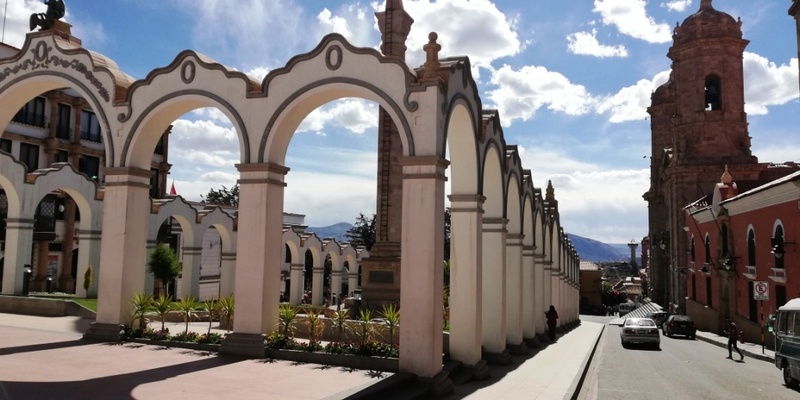 Sucre has an almost perfect climate and the altitude (although high at 2,800 metres) is not very noticeable. 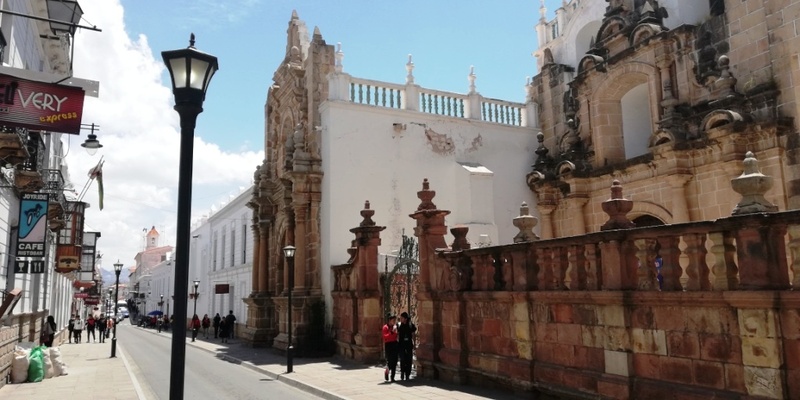 The Historical Centre is pretty and the surrounding areas are tidy (for Latin America). Sucre is definitely worth a look.